Danger in Backpacks: Are our kids carrying too big a load? Student back injuries are now widespread. 96% of the pupils monitored regularly haul much too heavy a pack on their back. In 2001 alone, 7,000 children went to U.S. emergency rooms for backpack-related injuries. And, 60% of orthopedic doctors contacted regarding the study reported that they have treated children suffering from back pain caused by their heavy bags. What we say at Breath of Life is that children should not carry backpacks that exceed more than 10% of their body weight — which translates into a 5 to 10-pound load for elementary students. Even with the continued progression of electronic learning – which one would think leads to fewer books – the backpack has become a survival kit for the action-packed lives that today’s children lead during and after school hours. Parents and teachers have to take an active role in limiting what we literally load onto these children. If were don’t address it now, the picture of a child carrying numerous books – which many have seen as a sign for a bright future – could foreshadow a painful outlook instead. Has your child already began to complain of back or neck pain? Get your child’s spine checked today! The patient was a 45-year-old female who presented for chiropractic care with complaints of migraine headaches, chronic pain in the neck, upper and lower back, fibromyalgia, numbness in fingers, sciatica, right knee pain, depression, and duodenal ulcer. She attributes the following history to her condition. She sustained a traumatic injury from diving head first into a shallow pool at the age of 15. This caused stabbing pain in her neck and back, as well as the inability to continue participating on the swim team. She was given Tylenol with Codeine for pain and attended physical therapy. The patient was also in 10 car accidents over 25 years. The car accidents brought about right leg pain. She experienced stabbing, tingling and numbness in her legs and back from her pregnancies. The patient was given cortisone injections in the groin to relieve the pain. She was diagnosed with fibromyalgia by her medical doctor. Five years after the diagnosis, she had another traumatic head injury, when she fell head first down a flight of stairs. This increased her sciatica, neck, and back pain. The patient had been to five chiropractors over 12 years, who provided temporary relief of her symptoms. She was in chronic pain and suffered from depression. She was given Vicodin, Flexeril, or Soma at different times for her pain and soft tissue injuries. Her activity levels were limited in that she could not use stairs, swim, or walk further than 20 feet. 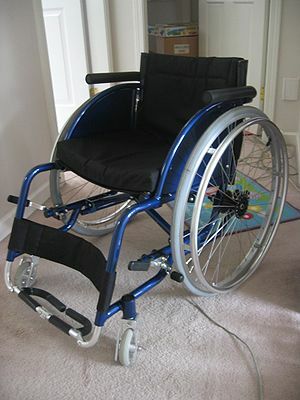 She used a wheelchair as it helped her complete her daily routine and limit her tiredness. Over and over on this blog I have talked about the connection between head and neck trauma and the Fibromyalgia or Chronic Fatigue type syndrome. A history of head or neck trauma should always be investigated by an Upper Cervical Chiropractor trained in the detection and correction of the Atlas Subluxation Complex (A misalignment of the top bone in the neck). This misalignment causes brain stem dysfunction which can lead to all sorts of changes in the way that all the body systems work. Specifically important in patients diagnosed with Fibromyalgia is the brain stem connection to the immune system, circulatory system, respiratory system and digestive system. Along with the connection of the brain stem with the postural muscles up and down the spinal column. For years I have been asking my patients if they have a history of head and neck injuries including, car accidents, falls, times where they have been knocked unconscious, had a concussion or stitches to their head. The patient’s fourth visit was two weeks following the first adjustment and at that time the patient reported a slight nagging headache had begun earlier that day, rated at 2/10, but she did not have any symptoms of vertigo. The patient’s care was continued on a frequency of twice per month for evaluations and progress monitoring. She was evaluated with Atlas Orthogonal protocol for necessity of adjustment and her symptoms were monitored at every evaluation. She continued to report a complete resolution of vertigo and intermittent headaches rated as 2/10 that occurred at an average of two hours/day. Only an upper cervical specialist could tell you. One of NBA Basketball‘s most exciting players Dwyane Wade continues to battle migraine headaches after sitting out Saturday night’s game against Toronto, ESPN reported. Is it possible that there is an underlying cause associated with your migraines Dwyane? If you got to the underlying cause would it be possible to prevent these migraines? Would it be possible to eliminate them completely? What happens when you get head and neck traumas? Well these accidents and injuries can tear loose the connective tissue that holds the spine in place and create a weakness, which then allows the spine to breakdown and lock into a stressed position. If Mr. Wade has a misalignment in the upper neck at the base of the brain, blood flow has been shown to be effected. Research is demonstrating that these misalignments in the upper neck at the level of the Atlas can be an underlying cause with several vascular conditions such as Migraine Headaches, High Blood Pressure, Multiple Sclerosis and others. The veins that drain the brain are not working the way that they are supposed to be. 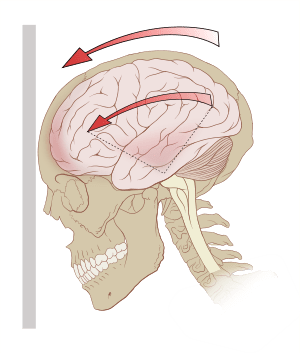 The main way that this takes place is the physical trauma associated with head and neck injuries. The only way to safely, precisely and gently realign the spine is by acquiring precise upper cervical x-rays. Once the upper neck is viewed from all three directions then a plan can be put together to correct this complex condition. The NUCCA procedure is very effective at restoring the upper neck to it’s proper alignment. 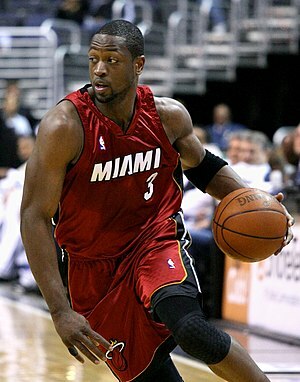 Dwyane Wade…why don’t you get checked and get back on the court…the Heat need you! Although most people get the occasional headache, there are people who experience headaches for more than 15 days (or more) each month. They are said to have chronic headaches. It is estimated that between three to five percent of people worldwide have chronic headaches. There are several subtypes of chronic headaches, such as chronic migraine, chronic tension-type headache, medication overuse headache, and hemicrania continua (a headache that only affects one side of the face and head). The most common subtypes are the chronic tension type and the medication overuse type. There is a significant difference between the two headaches though. While it can be difficult to treat the tension type headaches, it’s relatively simple to treat the medication overuse headaches. These headaches go away if the patient stops taking analgesics (pain killers). Researchers examined the brains of people with either tension type headache or medication overuse headaches and compared them with people who didn’t have headaches. 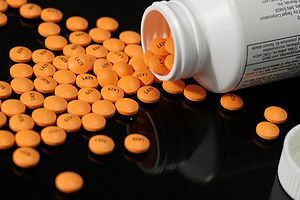 The researchers found that neither patients with medication overuse headaches nor the controls had any changes in brain tissue, but patients with tension type headaches did. And, the longer the patients had their headaches, the more tissue was lost in the brain. While investigating patients with episodic headaches and patients with tension type headaches, researcher M.S. Matharu and colleagues fond that patients with episodic headaches didn’t have any brain changes, while, as expected, those with tension type headaches did have changes. These findings were challenged by other researchers who came up with different findings. Migraines are more than just severe headaches. Migraines are in a class by themselves. The only thing they have in common with headaches is the head pain. A migraine usually, but not always, involves a severe, unilateral (one-sided) headache that is often described as pulsing or throbbing. In addition to the pain, many people with migraines also become very sensitive to light (photophobia), sounds, and odors. They may also be nauseous and vomit. Many studies have been done on migraineurs, people who have migraines. This research has shown that there are changes in the brains of migraineurs, much like those with other chronic pain. Although there hasn’t been a connection made between the changes in the brain as a result of the pain, researchers have found that these changes may actually have a part in causing the migraine pain. 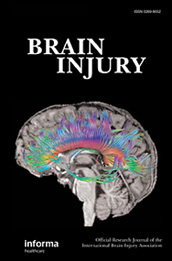 Spine University’s Guide to Neuroplasticity and Chronic Pain Compliments of: Spine University M.A. Rocca and colleagues studied 16 patients with migraines and they also found changes in their brain tissue. Two other studies compared patients with migraines to control subjects who didn’t have migraines. Both studies also found brain changes in the migraineurs. When interpreting the study data, Rocca’s group suggested that the changes could have been caused by the repeated pain attacks on the brain. However, the pattern of the tissue changes seemed to be more in line with the idea that they are caused by the duration of pain, not the frequency. An interesting issue though is that migraines tend to come less often as people age and researchers aren’t sure how this is connected to the changes in the brain. When the upper cervical spine is misaligned the blood flow is changed from the brain. That is being demonstrated with Phase Contrast MRI on the arteries and veins from the brain to the body. Altered blood flow can change the brain. Our brain needs proper blood flow in order to function properly. The longer the misalignment has been present the more damage is done. If the upper neck has become misaligned due to accidents and injuries than a change is happening in the brain. This brain research is showing how those with chronic headaches are suffering brain damage as a result of the chronic headaches. Do you see the connection? Misalignment causes altered blood flow…the brain needs blood in order function properly…without proper venous drainage many people begin to suffer with headaches. Correct the cause by realigning the upper cervical spine with a precise upper cervical procedure such as NUCCA, Orthospinology, Atlas Orthogonal or Advanced Orthogonal and the blood flow begins to change. Headaches frequently go away and the brain begins getting proper blood flow again so that it can heal. I have seen a 90-95% success rate with patients with headaches of all types in my clinic. If you have chronic headaches find an upper cervical specialist in your area and correct the cause!